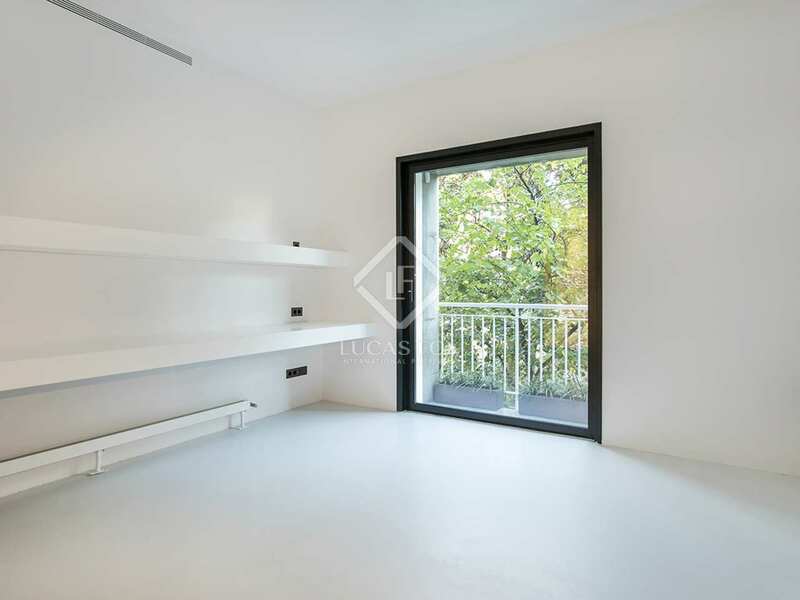 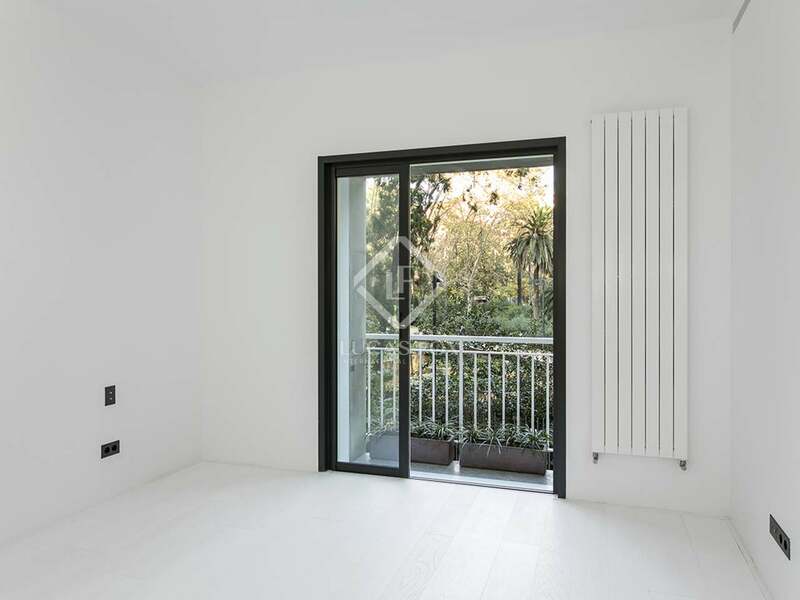 On the first floor of a building directly in front of Turo Park, we find this substantial property newly renovated and ready for sale. 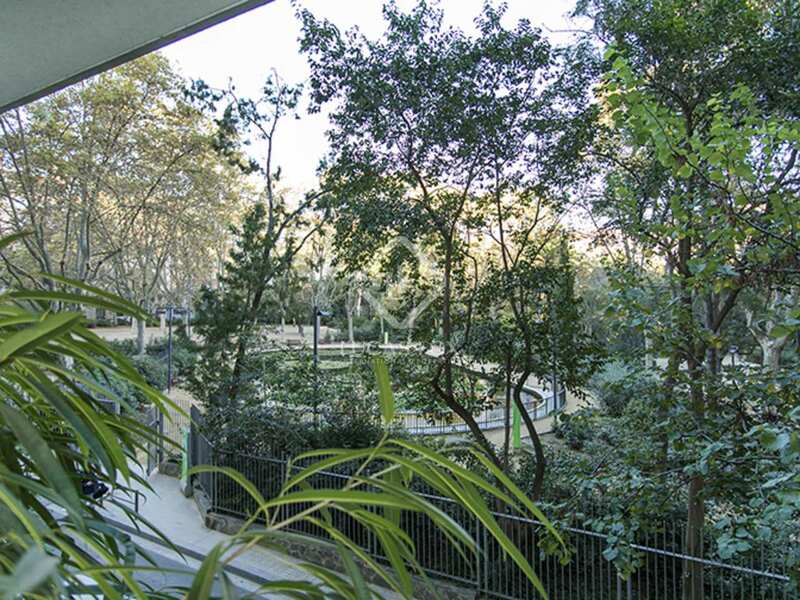 The impressive property measures some 453 m² and boasts a beautiful 22 m² terrace and fantastic views of Turo Park. 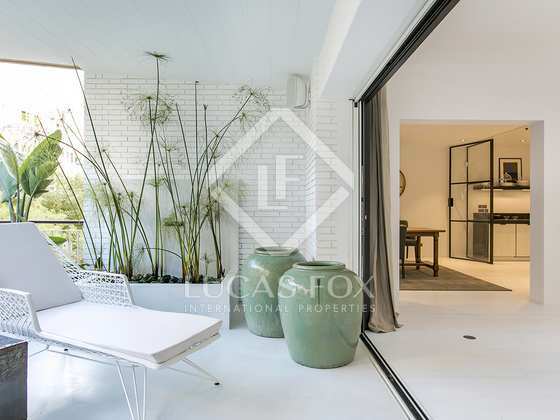 The renowned interior designer, Cristina Rodriguez has created the impeccable interiors of this impressive property, using pristine high-quality white finishes with touches of black such as the window frames, bathroom taps and bath tub, all contrasting beautifully with the lush tropical green leaves of the plants on the terrace and the greenery of the park beyond it. 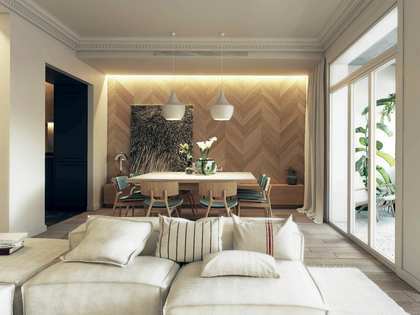 The living and sleeping areas are clearly divided. 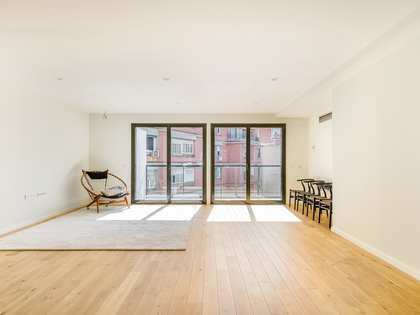 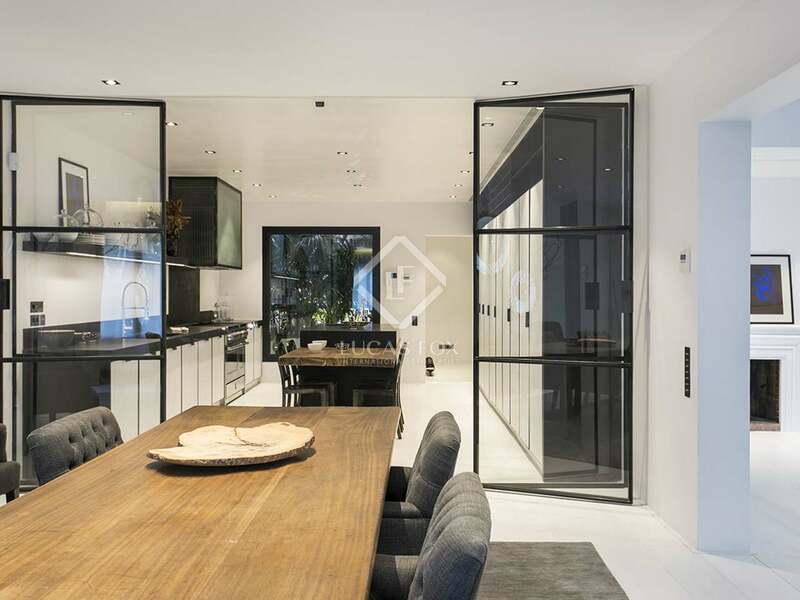 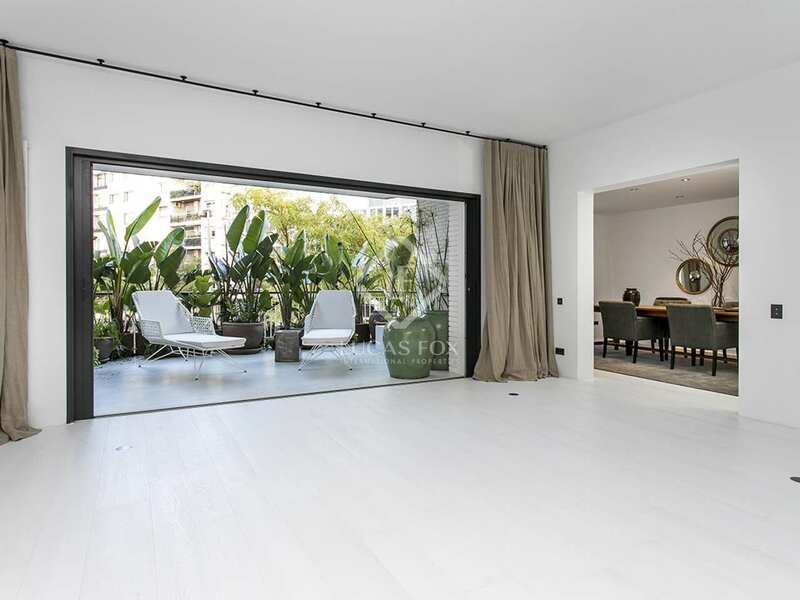 In the living area we find a large dining room and living room which leads out seamlessly to the terrace through sliding patio doors that retract completely into the wall. 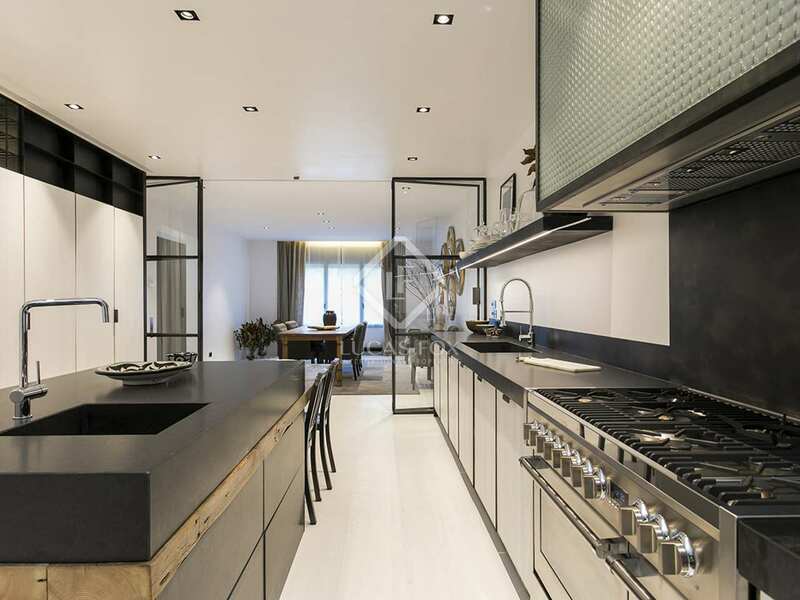 There is a second, more private living area and a unique designer kitchen with both industrial and artisanal elements. 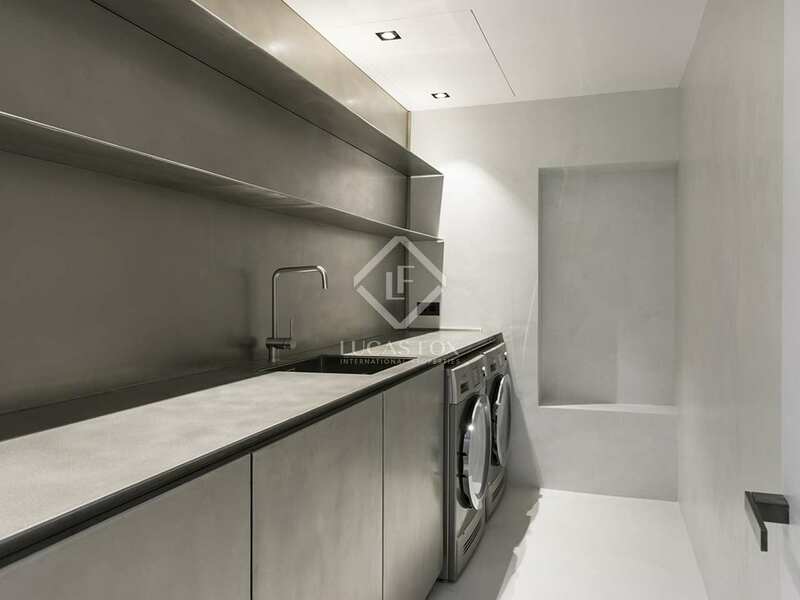 There is a separate utility room with a washing machine and dryer as well as a guest suite and a toilet. 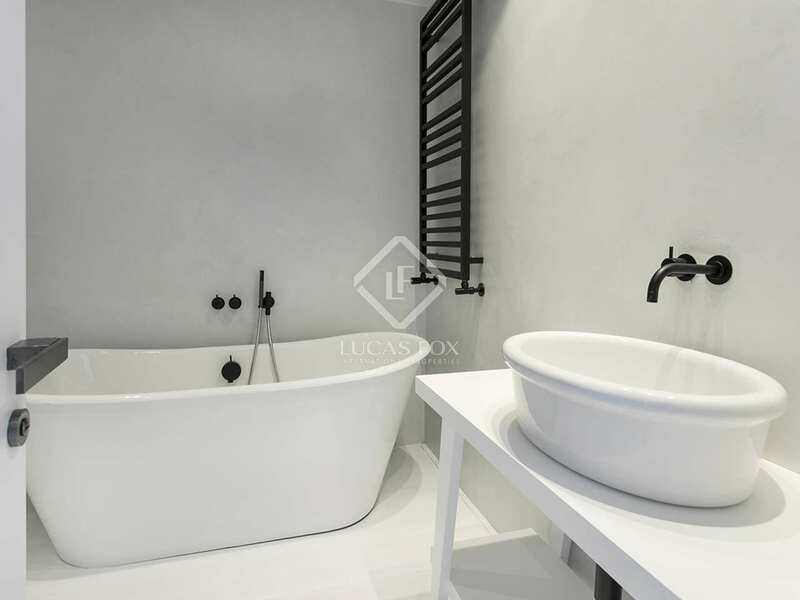 A small annex apartment with its own bedroom, bathroom and living area provides ideal accommodation for guests or staff. 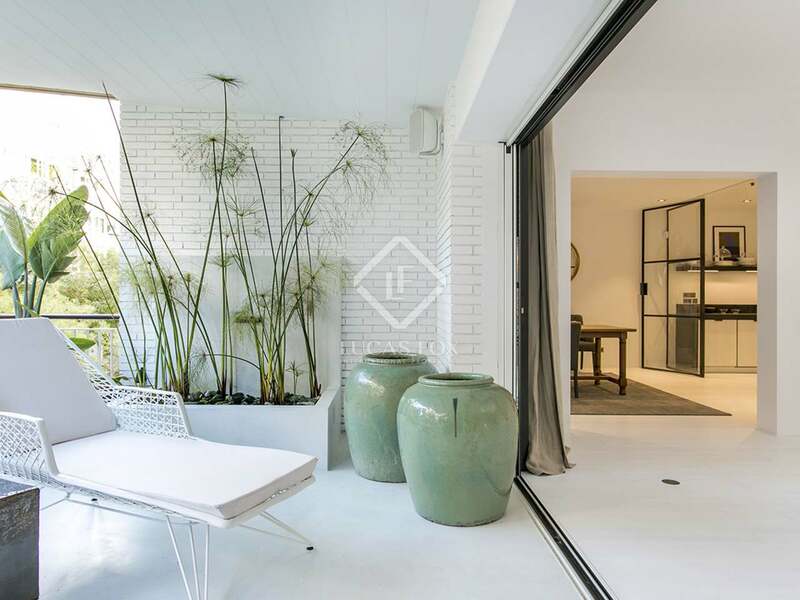 In the night area we find 5 double bedrooms, all with en-suite bathrooms and dressing rooms. 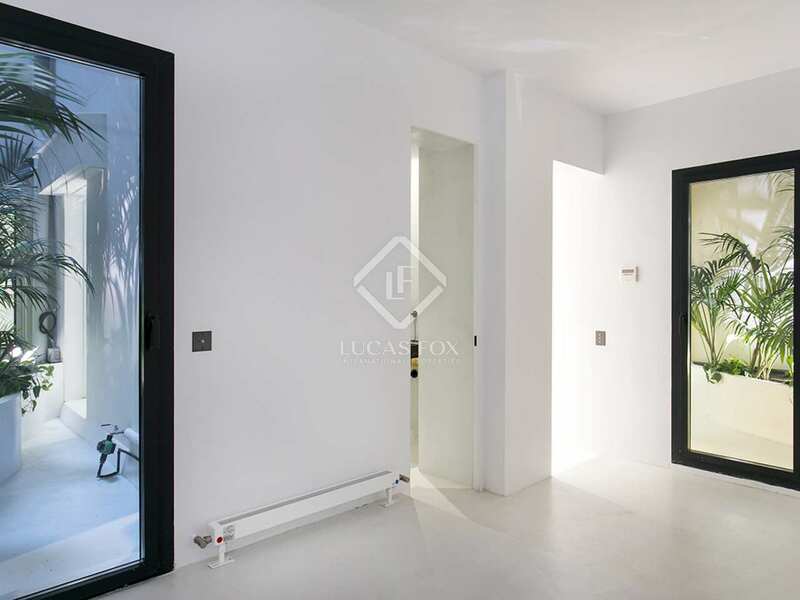 One of these is the master suite which enjoys particularly privileged views of Turo Park through floor to ceiling windows. 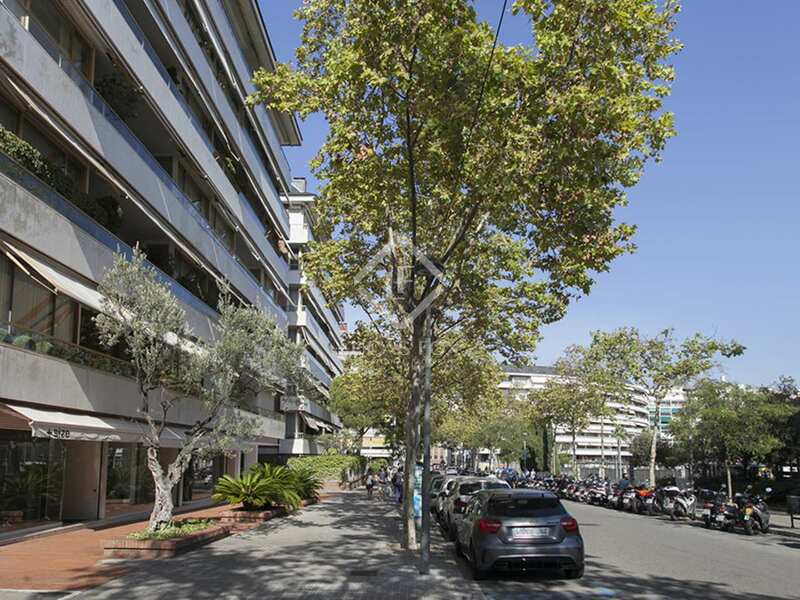 The property comes with 2 parking spaces and a storage room in the same building. 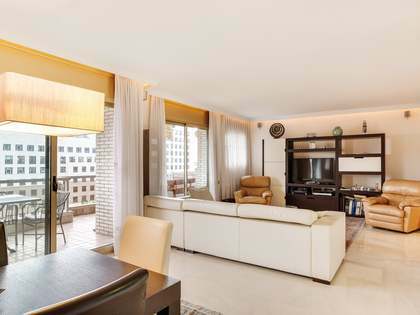 There is also a concierge service in the building which offers convenience and security. 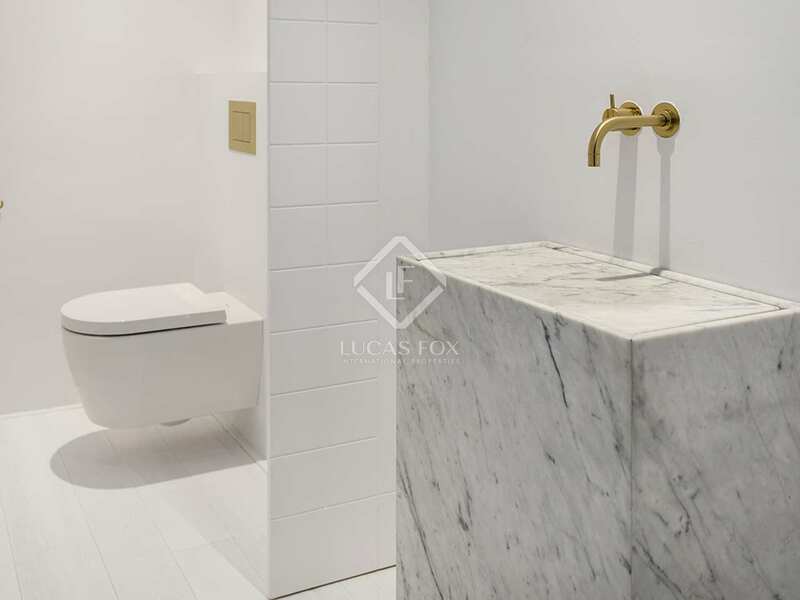 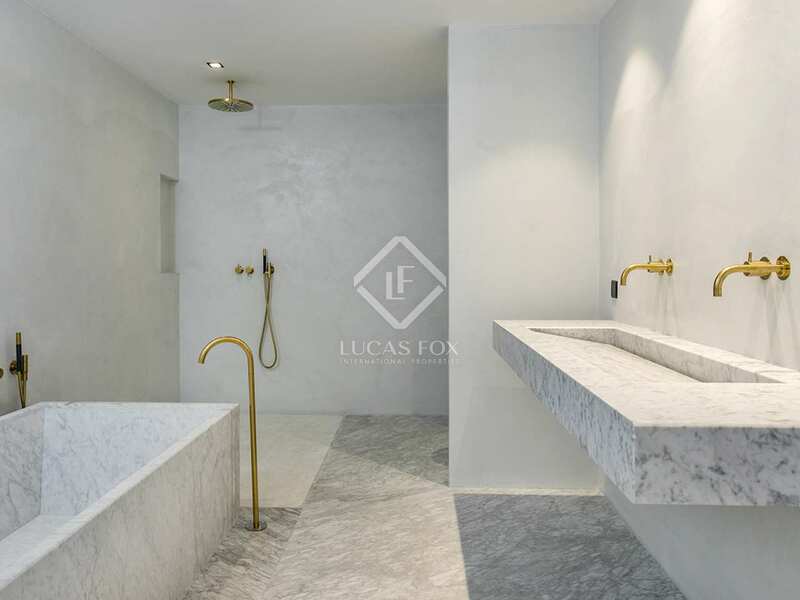 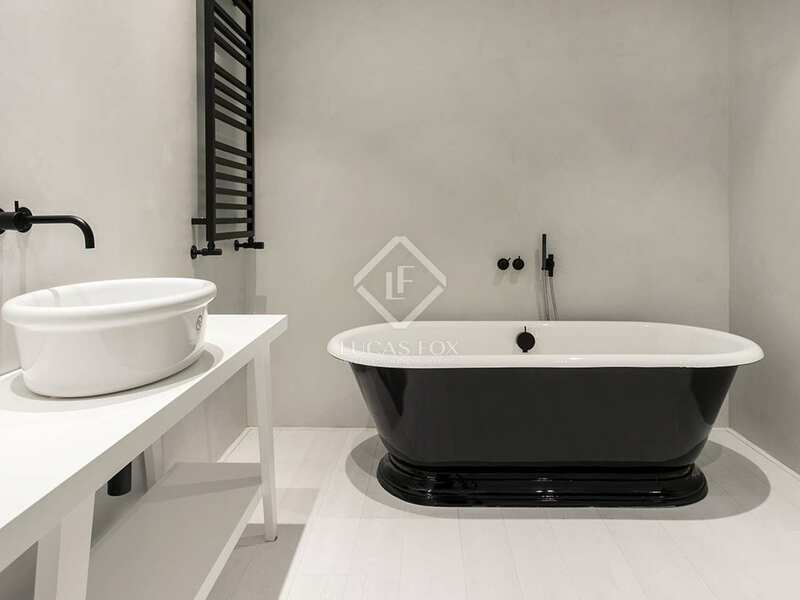 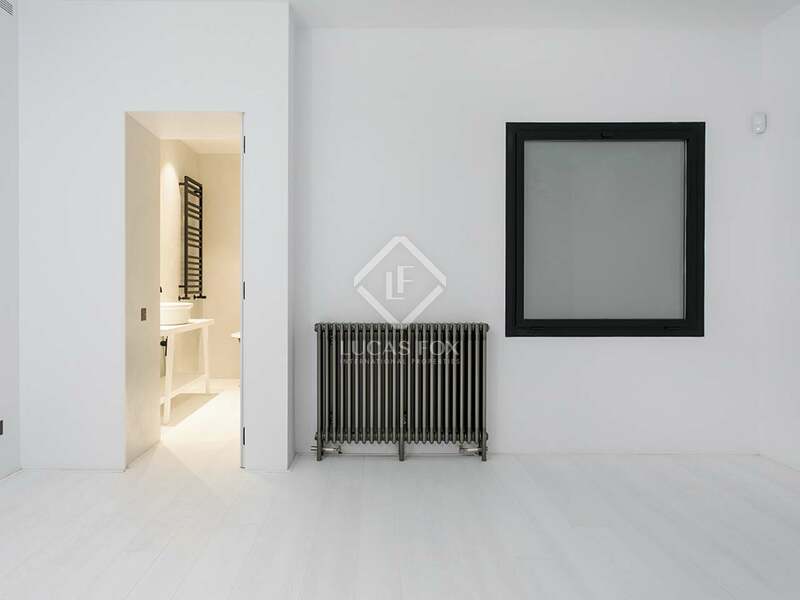 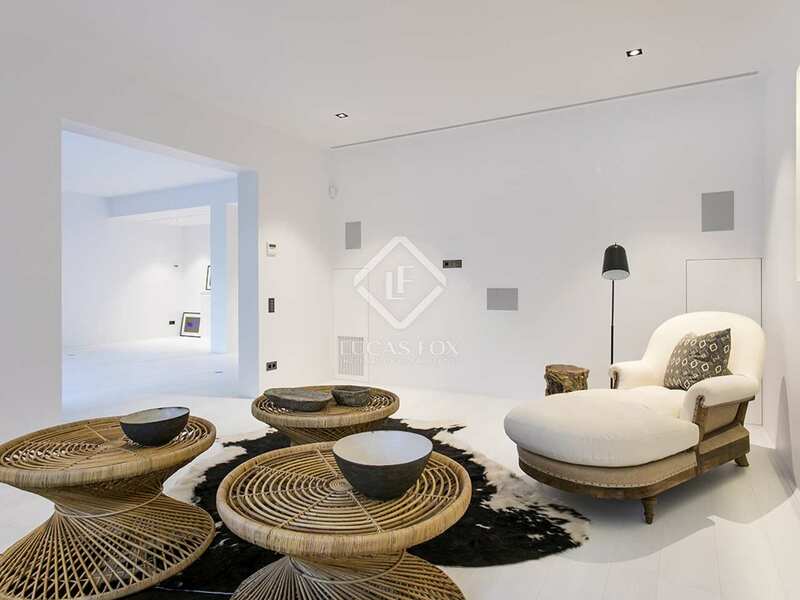 A truly stunning, high-class property with gorgeous minimalist interiors by a world famous interior designer. 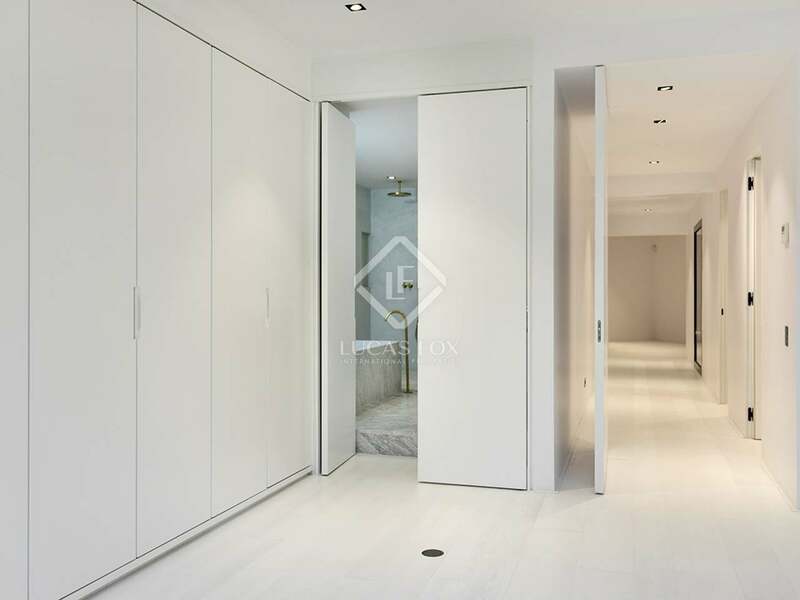 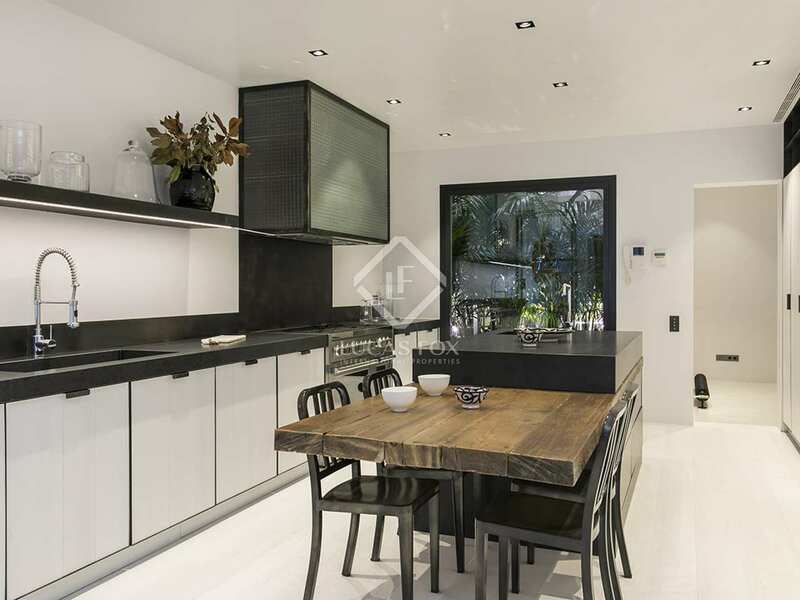 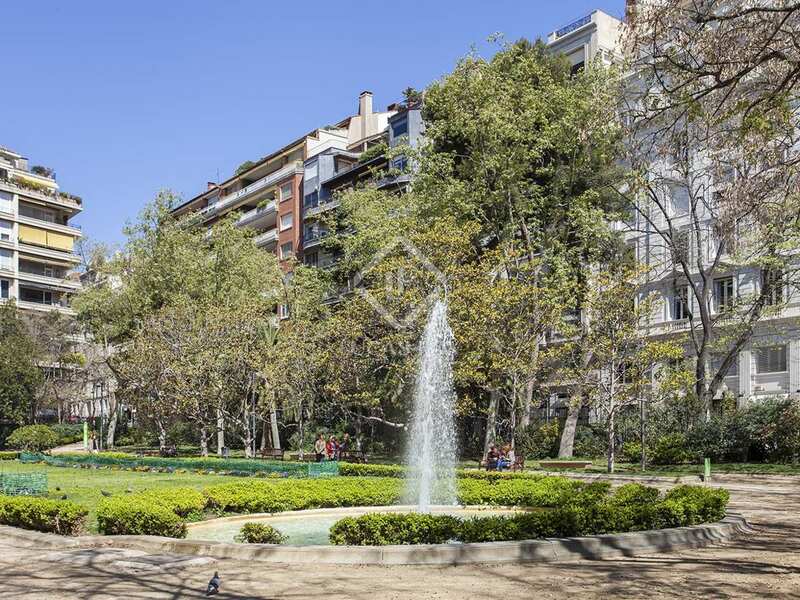 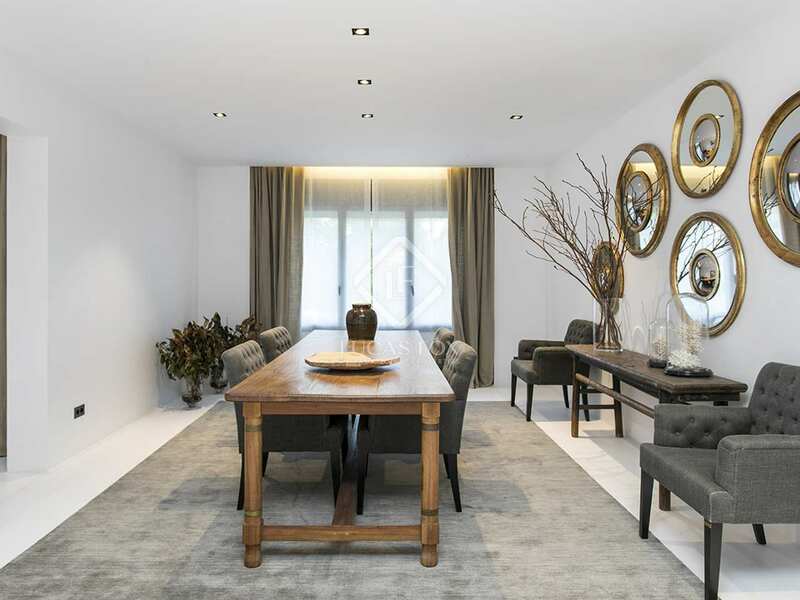 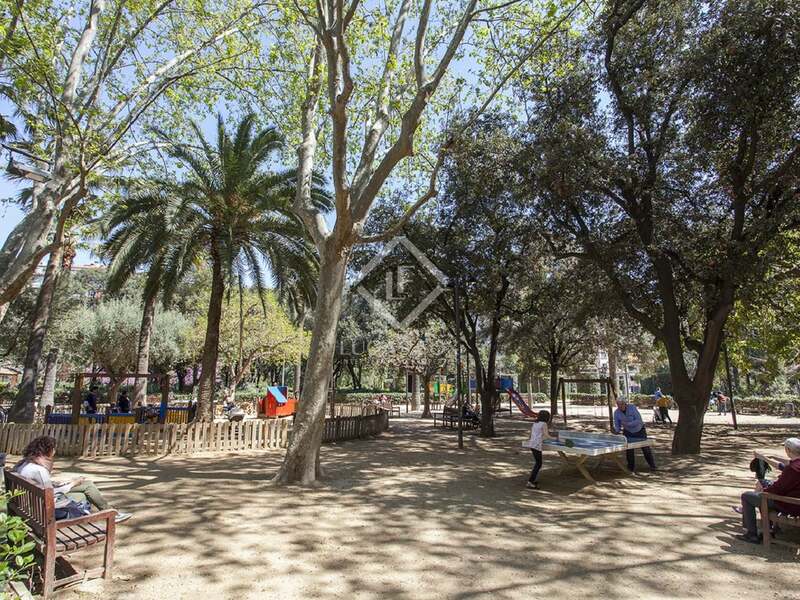 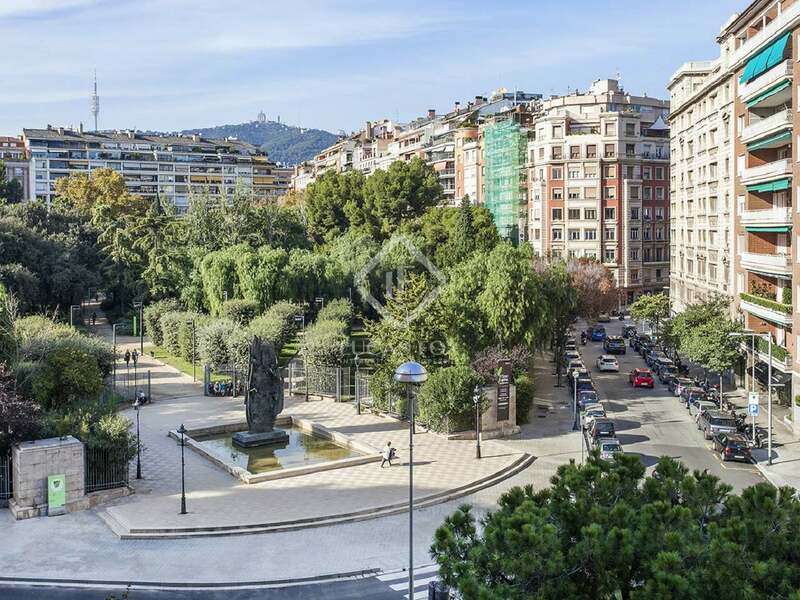 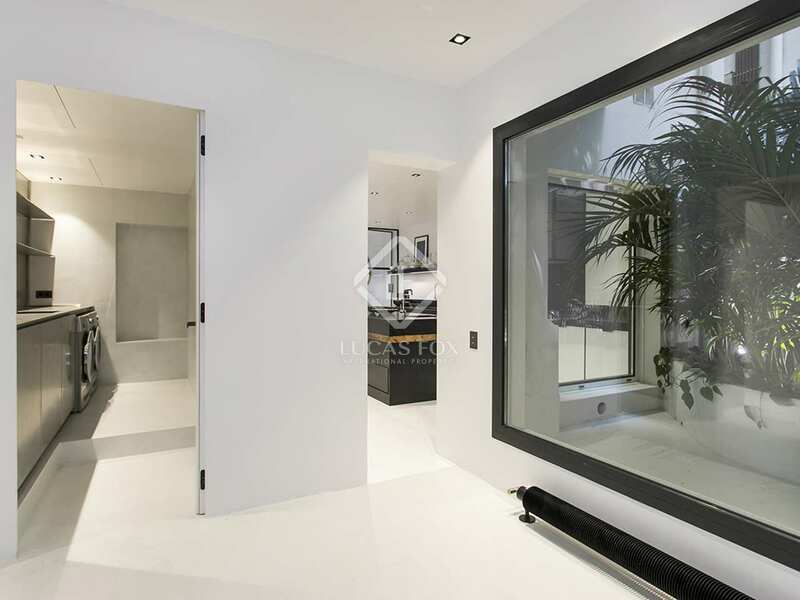 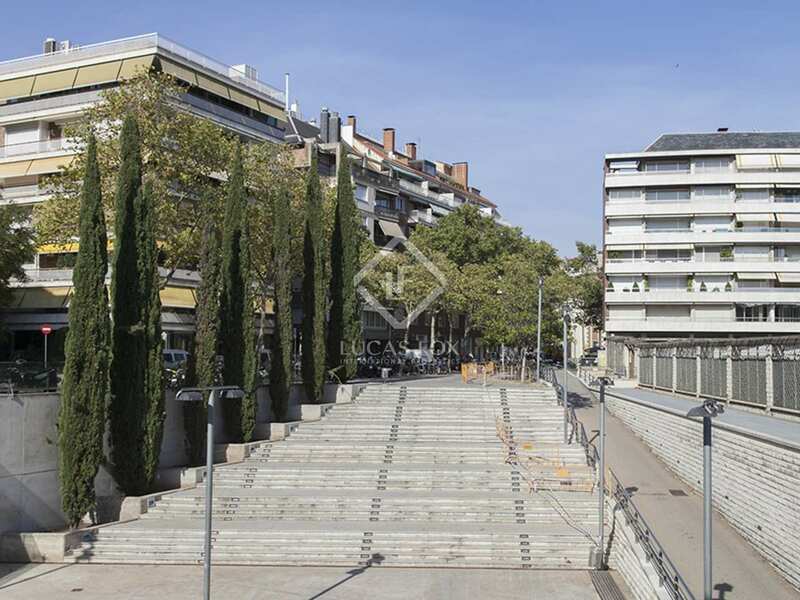 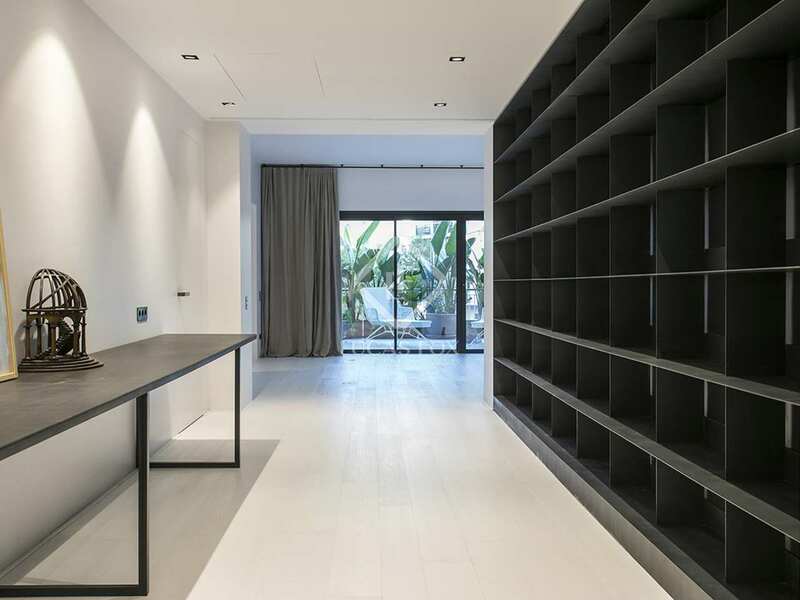 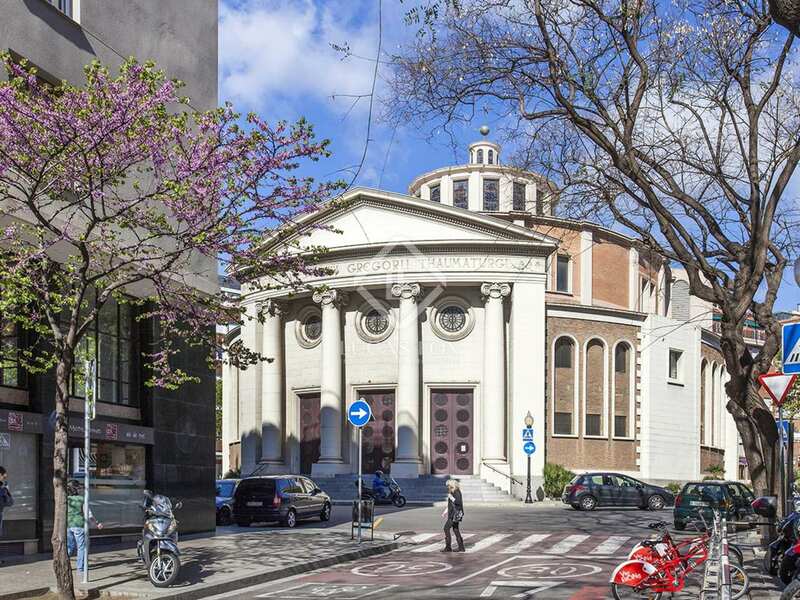 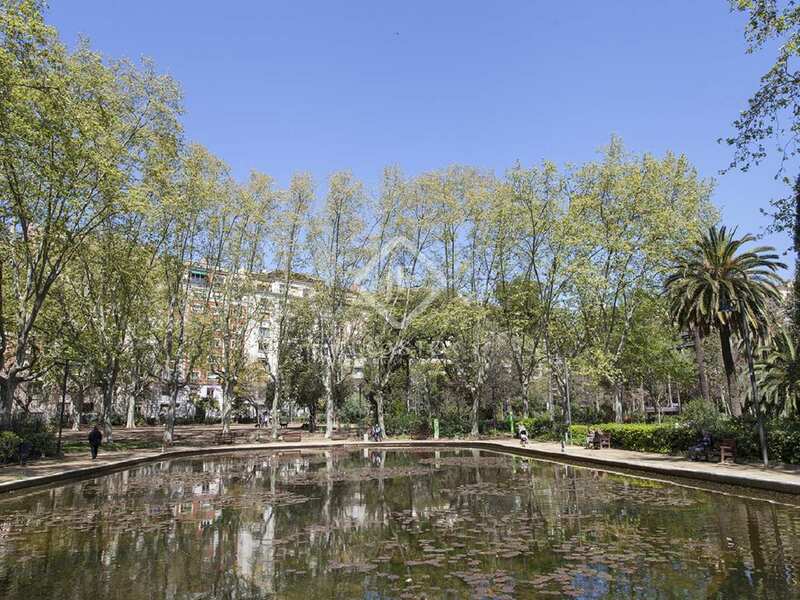 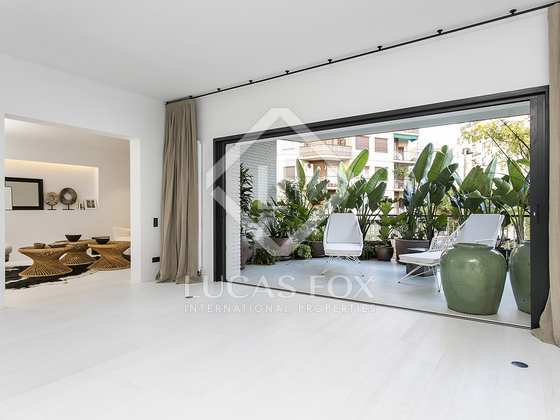 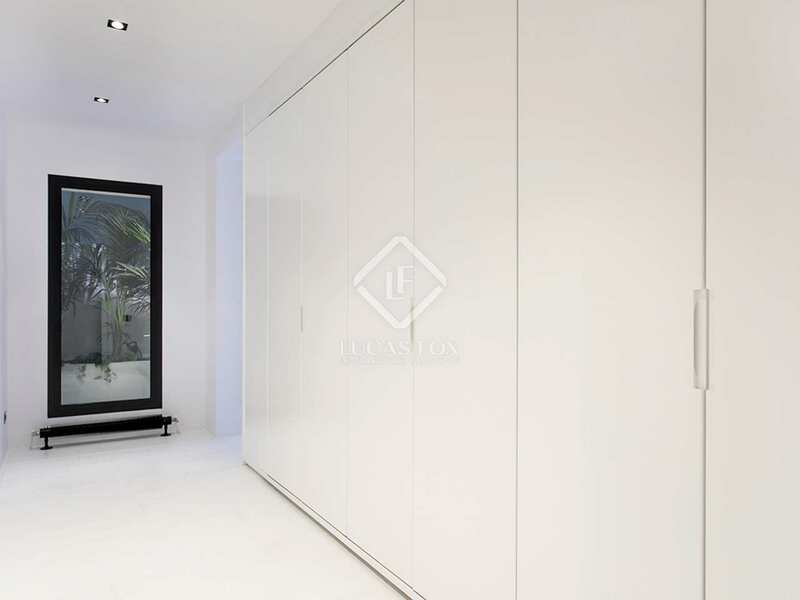 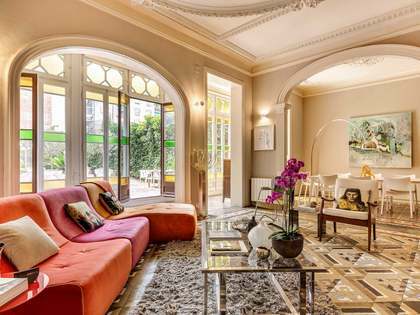 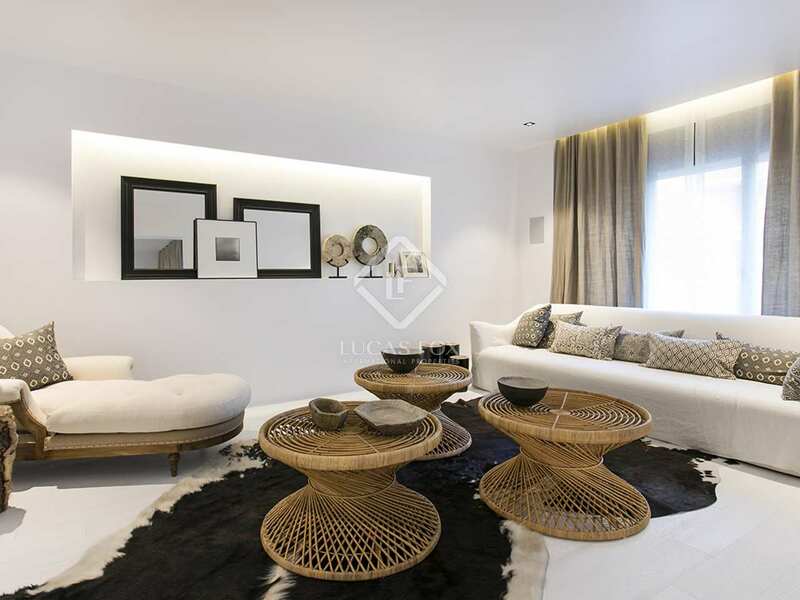 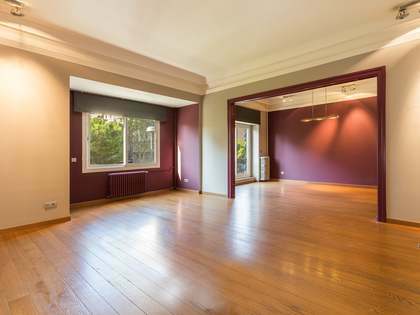 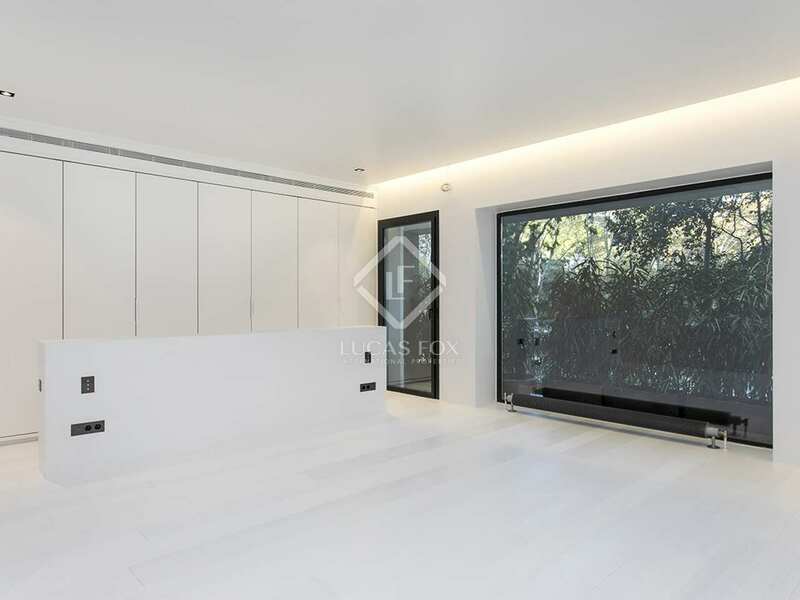 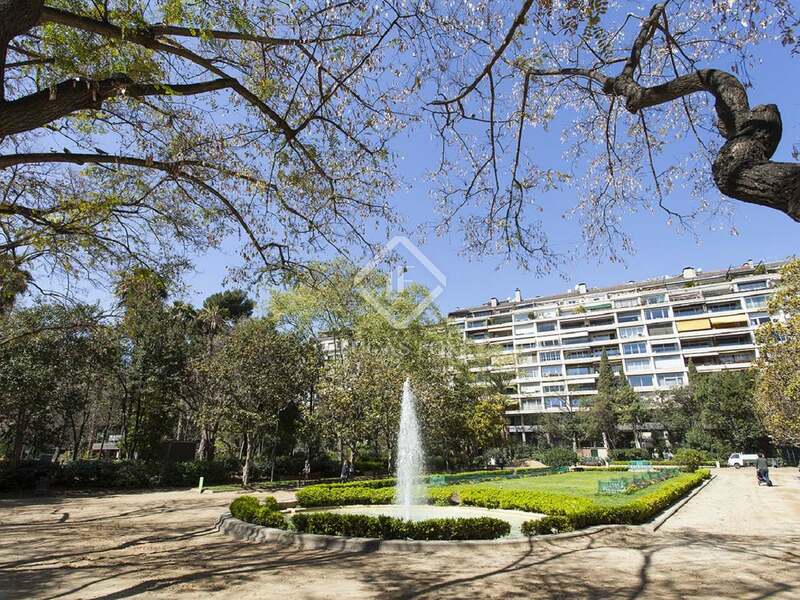 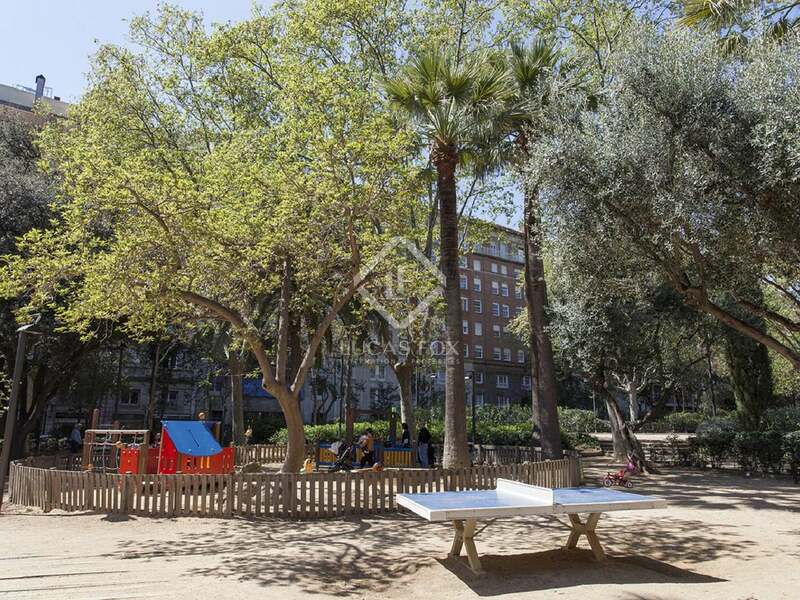 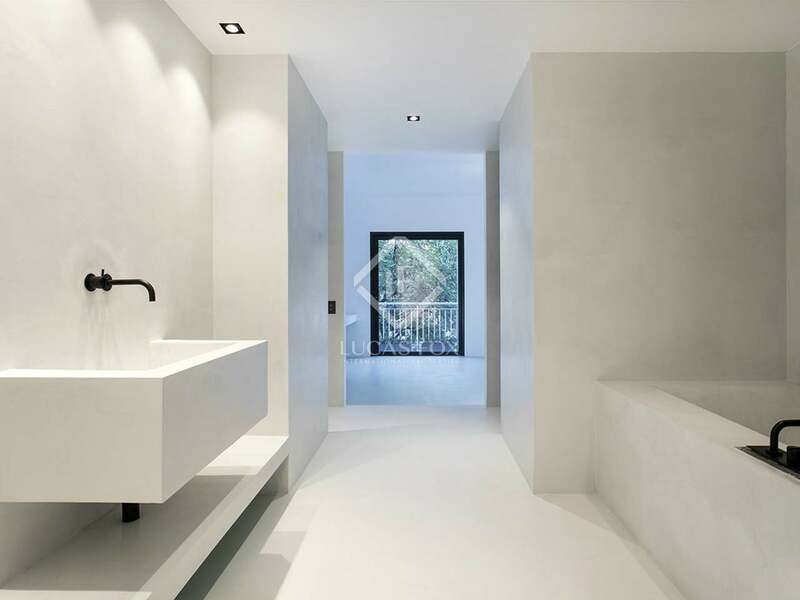 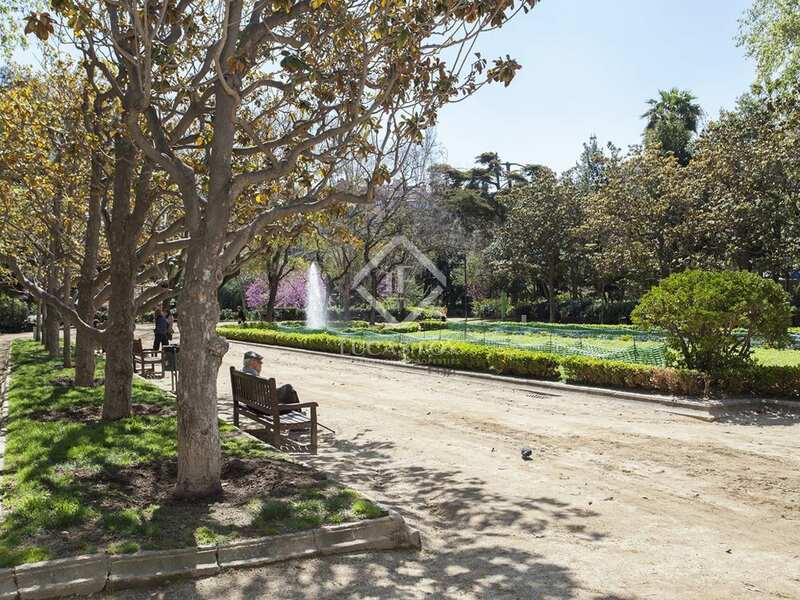 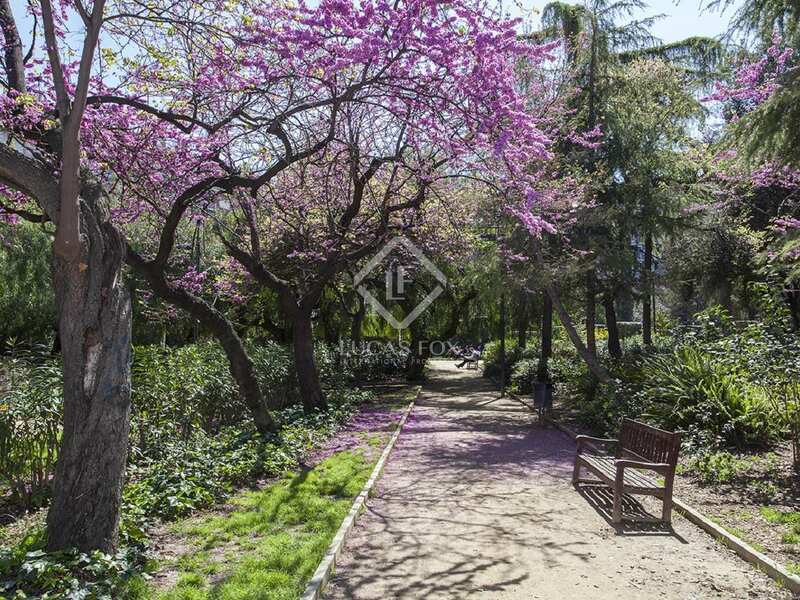 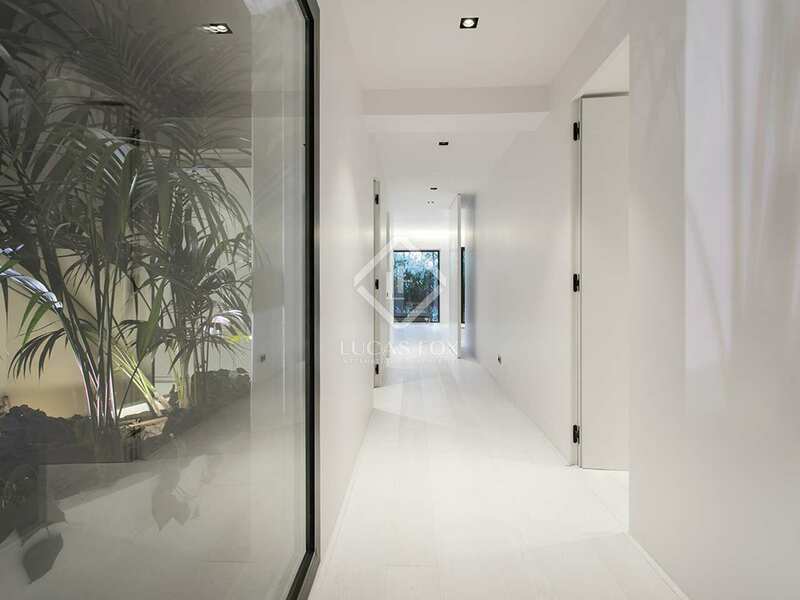 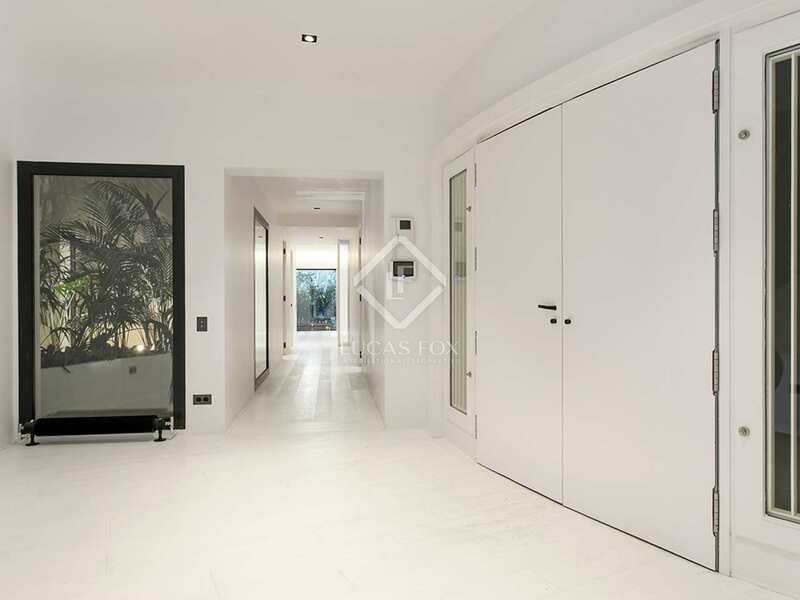 Located in one of the most exclusive areas of Barcelona, Turo Park, in the prestigious Zona Alta district.